PacMan: Stabilising life as we know it! Owned and operated by Syd Bolton and a team of 40 volunteers, the Personal Computer Museum is located in the back of a residential property in Brantford, Ontario. The focus of the museum is home computers. On display are retro computers such as the Commodore VIC 20, Commodore 64, Amiga, TRS80, and others. The game systems include Atari 2600 and Vectrex. Additionally, rarer computers like the Coleco Adam can be spotted. The museum spans 2 levels, and a total of about 1000 sq. ft (~100 sq. metres)! What makes this museum different from other similar retro computer museums is that patrons are welcome to touch, test, and operate the computers on display! It’s a very interactive experience. The museum had so many PacMan versions that I’d never seen before! Brantford’s official town crier, David McKee, announced the beginning of the tournament. Participants included children of all ages, adults, and seniors. Yours truly found herself on the leaderboard for a very short time, until being knocked off by some mad PacMan playing skills of other players. The winner was Corey Guest, who received the 2016 trophy. In addition to the hardware, participants got a tour of Syd’s personal video game collection! This is the largest video game collection in Canada and separate from the museum. Console games include PlayStation, PS 2, Xbox, and Xbox 360. It spans many rooms, and is the result of collecting games over time and space. It is an amazing collection! It was a great day, and all participants had a great time catching the ghosties. Maybe the next fund raiser can be a Tetris Tournament? It’s worth the drive to Brantford. 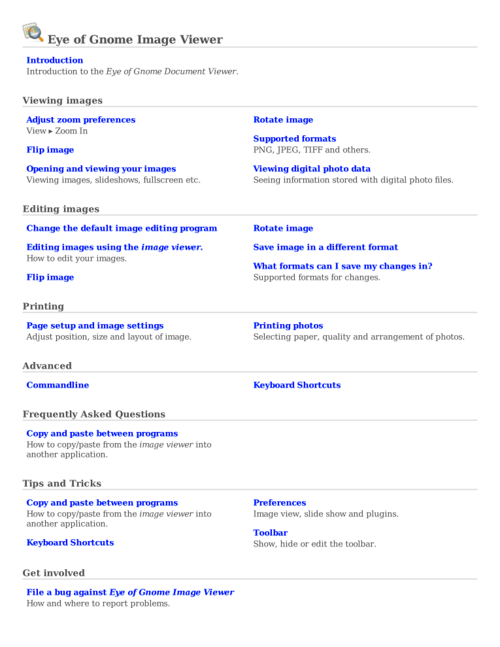 Author mimicotiffanyPosted on 2016-11-18 2016-11-20 Categories Uncategorized1 Comment on PacMan: Stabilising life as we know it! 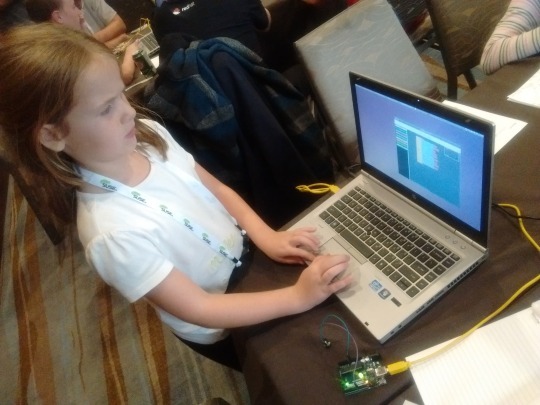 Kids on Computers and Unleash Kids at LinuxCon North America! Kids on Computers is a non-profit organization made up of volunteers — adults and kids. Founded in 2009, KOC sets up computer labs in locations worldwide, providing access to educational content which they otherwise would not be able to access. The computers have FOSS installed on them. Unleash Kids helps volunteer groups who work with kids by providing Internet in a Box (IIAB) community kits. This brings much of the online-educational content (such as offline Wikipedia, Khan academy, e-books and world-wide maps) to children in areas where there is no access to the internet. 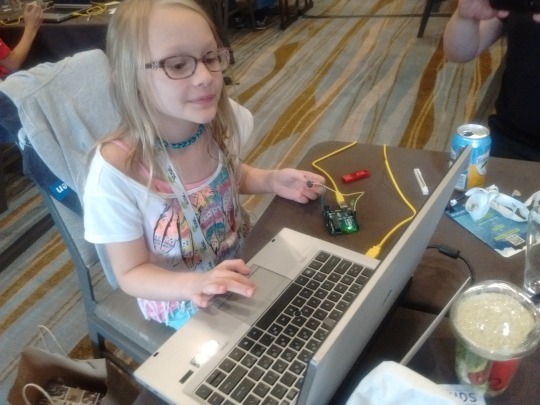 Earlier this year, Linux Foundation partnered with Kids on Computers which allowed KOC to have a booth at this year’s LinuxCon North America, as well as hold a workshop for children ages 7-15 on Kids Day. This was KOC’s first conference-based workshop. The kids worked on HP EliteBook laptops which were donated by the Linux Foundation, as well as 2 other laptops which KOC had from previous donations. In total, we had 15 computers for 19 children, so some had to pair up with a sibling or a buddy. We were that popular! 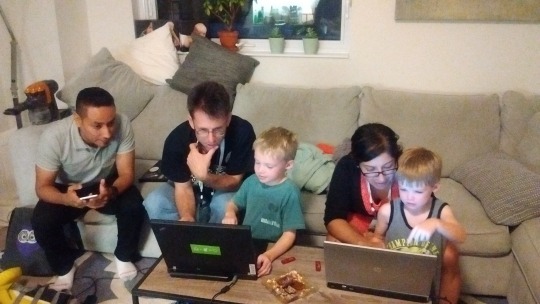 The kids did their first Linux install by installing Ubermix from a flash drive. We had 20 USB flash drives, so each child was able to take one home! Once the system was installed, an introduction to Scratch programming took place for beginners, and an activity where they wrote a program to write their own name, for those who already had some exposure to Scratch. Tim Moody of Unleash Kids demonstrated how networking worked using an Intel NUC with IIAB. The kids connected to the IIAB access point, accessed content and then used the local network to ping each other, SSH into each other’s machines and transfer files using SCP. Additionally, in order to get ready for the afternoon workshop run by a local group called MakerKids, the children had to install the Arduino IDE (using Synaptic) and then download Ardublock. Graham Steele of MakerKids did an amazing job teaching about Arduino, LED’s, buzzers, batteries and everything Arduino! You could feel the excitement and positive energy in the room as lights lit up and buzzers buzzed! Many thanks to Linux Foundation, as the day would not have happened without them. A personal thank-you to Stormy Peters for connecting me with KOC! I cannot thank you enough. 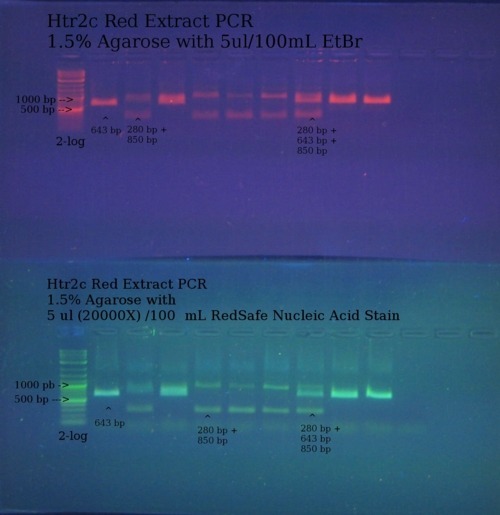 It was a great experience meeting and working with Avni Khatri, Adam Holt, Gustavo Silva, and Tim Moody! An incredible team through and through. A big thank-you to Miriam for allowing the team to hack at the rooftop pool overlooking mid-town, and opening up your home to us. Also, I would like to thank Ethan (7) and Chase (6) for volunteering to beta test our workshop by performing an Ubermix install and allowing us to introduce them to Tux and Scratch the night before the Kids Day workshop! They have been running Ubermix ever since! I would also like to thank Tim and Doina for hosting a lovely dinner party for the group in their home. Awesome food, company and chats. The work of KOC is made possible entirely by volunteer effort and donations. We also have KOC stickers available here. 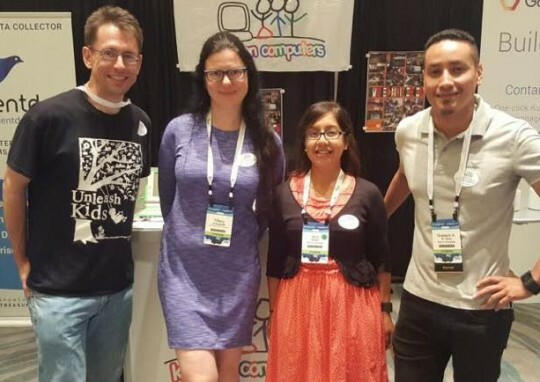 Author mimicotiffanyPosted on 2016-09-04 2017-02-27 Categories UncategorizedLeave a comment on Kids on Computers and Unleash Kids at LinuxCon North America!